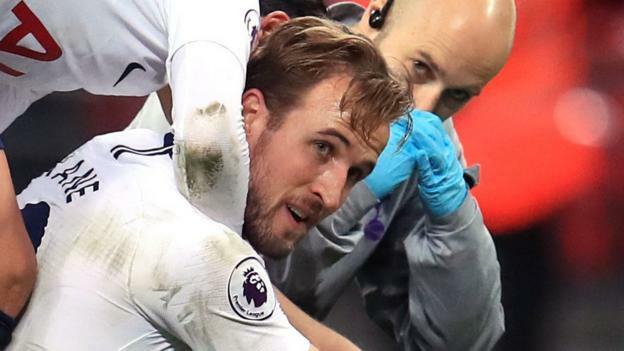 Kane had to be helped from the pitch at Wembley after being hurt in a last-minute challenge as United won 1-0. “It was a clear foul on Harry Kane, a big hit, [referee] Mike Dean said he didn’t see it,” Pochettino said. Kane – who had seven shots as United failed to find a way past United goalkeeper David de Gea – had an ankle injury in 2018 and missed 10 games the season before with a similar injury to the same ankle. Spurs midfielder Moussa Sissoko was also injured, being replaced before half-time. “It wasn’t the intention of the United player but it was a bad tackle and Kane was limping after the game,” Pochettino added.